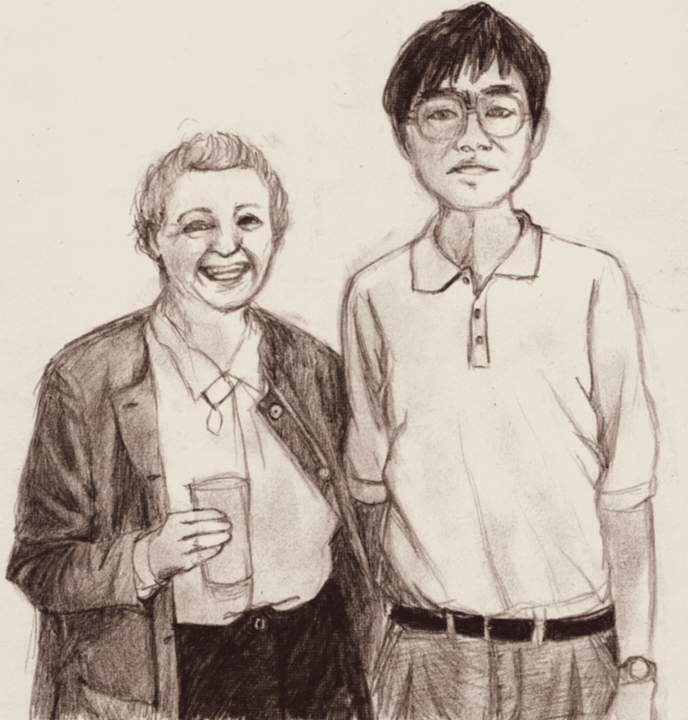 Hui-Ming Cheng (成会明), a visiting scientist at MGM from Nov. 1997 – May 1998, shares his memories of Millie Dresselhaus. Millie was one of my most important tutors, despite the fact that I only stayed with her research group for less than 6 months. She was always there to support me, whenever I needed help in my research career. I first met Millie in 1997 at the Carbon Conference held at Penn State. When she came over to see my poster on carbon nanofibers, I asked her if it would be possible to work with her as a visiting scholar at MIT. She quickly responded, ‘Yes!’ And she formally accepted me for the visit soon afterward. Four months later, I arrived at MIT to work in her lab. 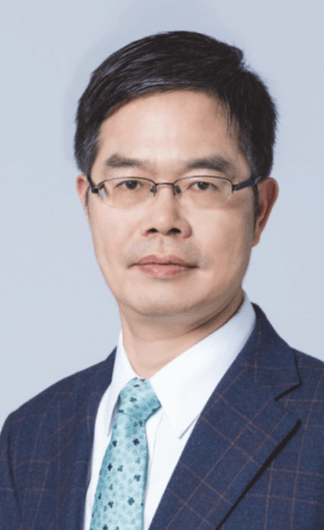 I worked there for slightly under 6 months and, while I was there, I published two pioneering papers on the production of single-wall carbon nanotubes by floating catalyst CVD. These are the first two papers on carbon nanotubes I ever published, and they have continue to be important papers to this day. 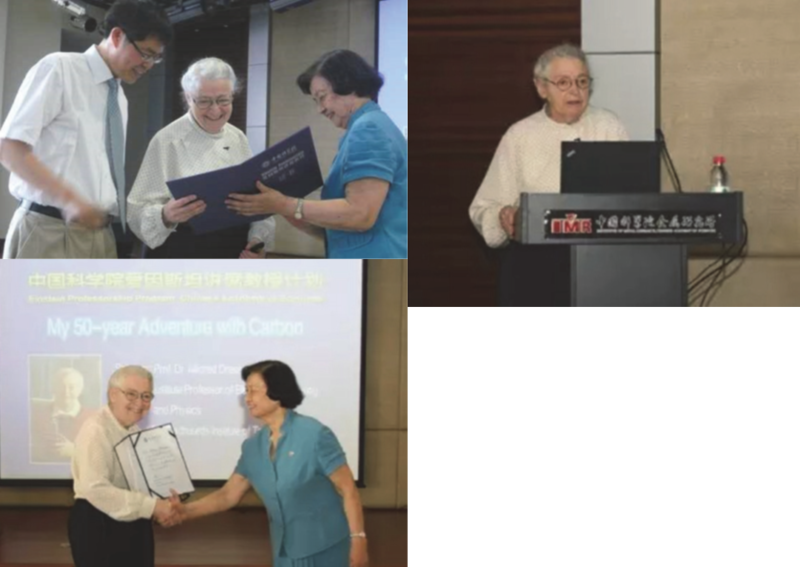 She has visited China many times and given lectures in a number of places. She visited my institute in Shenyang twice — in 2000 and 2011. 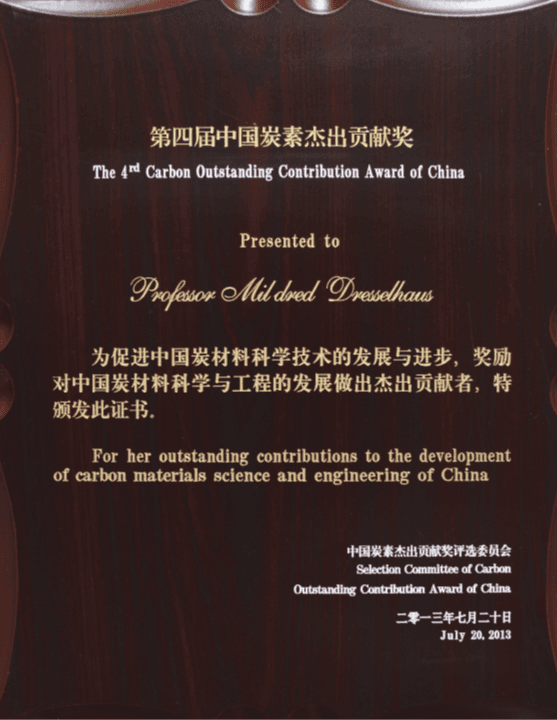 She was awarded the CAS Einstein Professorship at my institute in 2011, and in 2013, she received the 4th Carbon Outstanding Contribution Award of China. When she visited my lab, she patiently gave advice and guidance to each of my students and young staff. I remember the last visit Millie made to IMR in 2011, when she was stricken with an unfortunately stomach illness. We all thought she should be resting in her hotel room, but she refused! She did not want to waste any time resting in her room, when she could be talking to us about our research. We all were deeply moved by her strength and determination. Millie’s passing is a huge loss for the world of science and technology, and, in particular, for carbon science. For those of us who knew her, like me, I am grateful that we have the honor of learning Millie’s many inspirational life stories and notable career accomplishments — and that we now have the opportunity to share those with others. They will certainly inspire both ourselves and many future generations of researchers.